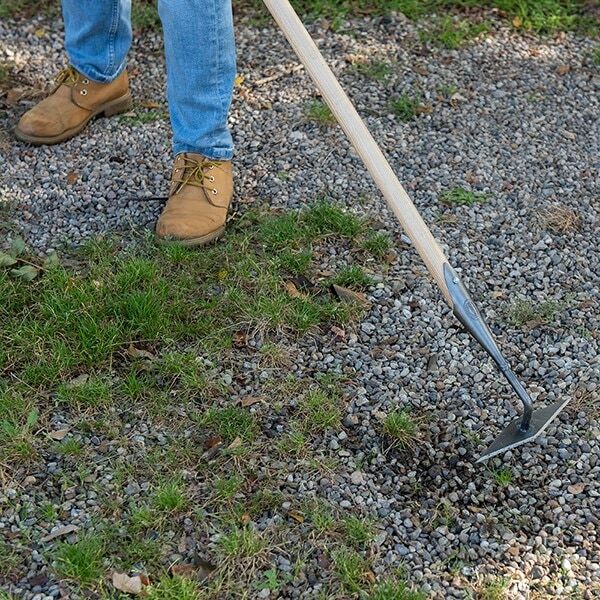 Tackle weeds below the soil line with ruthless efficiency with this exceptionally sharp De Wit diamond-headed hoe. 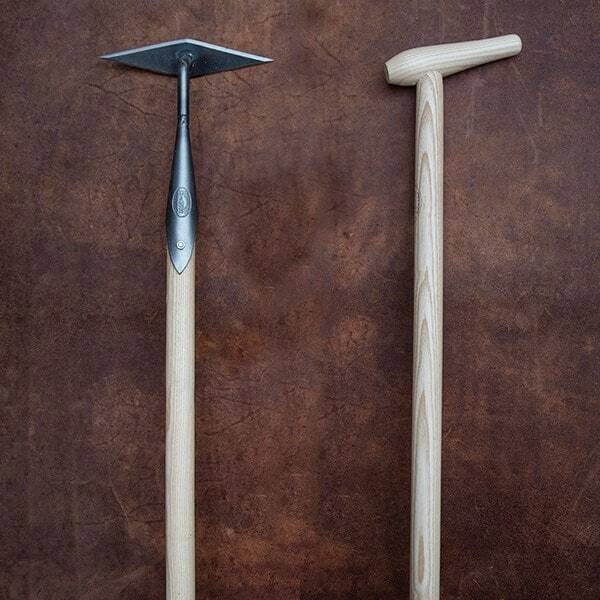 With a slimline carbon steel head sharpened on all sides, the hoe slices through weeds on both the outward and return strokes. Slide it firmly back and forth below the soil's surface and it will cut through every root in its path. 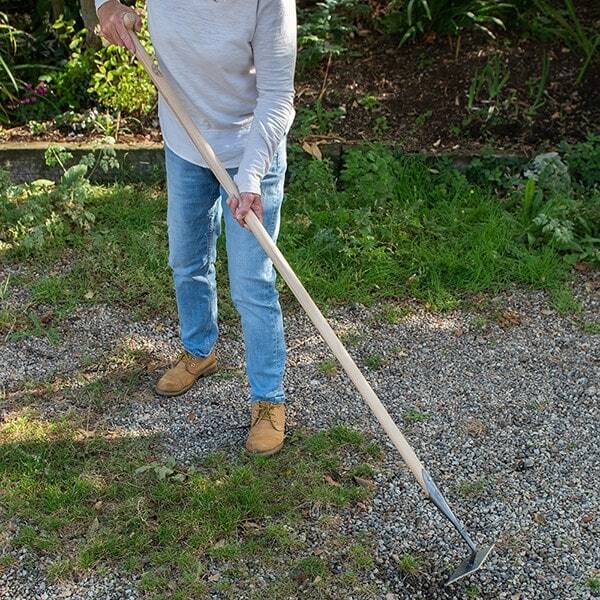 The head is fitted to a 1.6m long solid ash shaft to reduce bending and back strain, and the slanted P-grip handle gives you a secure, comfortable grip.